Phoenix is a large city generally known for its bright summers and cozy winters. Suburban and laid-back, Ahwatukee is a quiet community and a great place to find comfort. North of the area is South Mountain, separating it from the busyness of South Phoenix, and south of this suburb is the Gila River Reservation. Due to the few entry points into Ahwatukee and its small town feel, it has been dubbed the “World’s Largest Cul-de-Sac.” This small slice of the valley is both eventful and quiet—it offers quick and easy access to major highways and airports, yet remains tucked away from the activeness of a large metropalis. 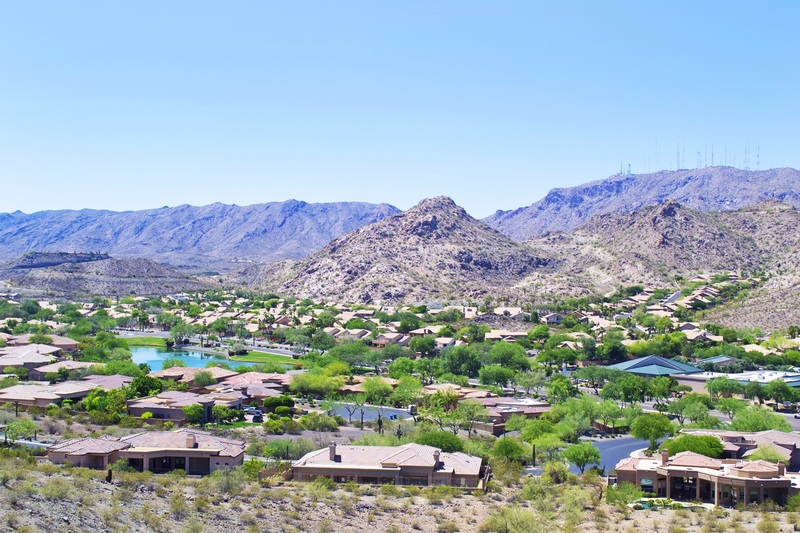 This community has everything you need— there are hiking trails at Telegraph Pass that lead to an overview of the valley, as well as community churches and club organizations, like road cycling, Club West Volleyball, Club West Golf with a course located in the Foothills, and the Ahwatukee Country Club. You could enroll your kids in the highly-rated Kyrene School District or at one of the private or charter schools west of I-10. The Tempe Union High School District, which has two schools in this area, is a top-rated district in Arizona based on test scores. There are also eateries of all kinds—from Thai to Greek to Italian—along with sports bars and grills and a couple of local hot-spots. Shopping includes quick access to the Phoenix Premium Outlets outlet mall near the Gila River Casino, as well as high-end boutiques, trendy local shops, and an assortment of national chains. Additionally, because I-10 is so close, there are shopping malls and restaurants in close proximity. From Ahwatukee, it is also a convenient commute to Phoenix Sky Harbor International Airport. Ahwatukee is a great place to buy your first home or your last home. Ahwatukee is a great place to relax when you’re not hard at work; make friends while you walk the dog in the morning or swim in your own private pool with your family. Some recreation centers have public pools with free entry for you and your family. There is also access to natural hiking trails along South Mountain with beautiful, serene views of the desert wildlife often forgot to be living among us. The possibilities for a home in Ahwatukee are endless, as it offers a great number of homes for sale. Most are generally southwestern or Spanish-style homes, but in some neighborhoods like Ahwatukee Custom Estates, you can find a neo-modern single-story or a brick colonial or an adobe-inspired stone home. In the Lakewood Community you can find waterfront homes with private docks for your paddle boats and four public docks, as well. Many homes have private pools, and most apartment complexes have community pools with entry granted only to residents. Think Ahwatukee might be right for you? Start your Ahwatukee home search here.